WHAT SHOULD I BRING TO MY APPOINTMENT? Please fill out your intake form & diet diary online before your appointment, and send in any recent or relevant lab work or imaging as a document in the patient portal. Please bring any supplements and medications you are currently taking or have questions about. WHAT IS NATUROPATHY? Naturopathy combines centuries-old, natural, non-toxic therapies with current advances in medicine, covering all aspects of health, from prenatal to geriatric care. Naturopathic medicine is tailored to the individual patient , as we look for patterns, underlying causes and your whole health picture, rather than focusing solely on symptomatic treatment. NDs also emphasize prevention and self-care to ensure recovery and prevent recurrences. WHAT SHOULD I EXPECT FROM AN APPOINTMENT? Your first appointment will be a 75-90 minutes in length, and will cover your entire medical history in depth, depending on the complexity of your case. You will receive a treatment plan at that first visit , which may include supplement recommendations, and pharmaceutical prescriptions or lab requisitions if you are a patient in Vermont or California. Follow up appointments will be shorter, unless a new problem develops, and will be a chance for you to ask questions and give an update on your condition, and for me to adjust my recommendations to further advance your health. WILL INSURANCE COVER MY VISIT? Doctor Anne is credentialed with all the major insurance companies in Vermont, so you would be covered except for your insurance mandated copay and deductible. All insurance companies and policies are different; if you want exact information about cost, you should speak directly with your insurance company. Many labs are covered as well, although coverage for specialty labs may vary, and again, will be between you, the lab and your insurance company. In California, I can give you a superbill that you can submit to your insurance for out of network care. Some patients use a Health Savings Account to pay for their care and sometimes supplements. DO YOU DO PHONE OR VIDEO VISITS? Yes, I do. Laws vary from state to state. If you live in a state where there is no naturopathic licensing, I will serve as a consultant only, and can only make general recommendations. In California, telemedicine is legal from the first visit, so I can work with you remotely, although I do insist that you have a local doctor to manage acute care. In Vermont, we need to have an in-person visit before we can do remote visits, and be aware that insurance doesn't cover remote visits unless you are physically unable to travel. ARE YOU A HOMEOPATHIC DOCTOR? "Homeopathy" can be a confusing term, often confused with the concept of "home remedies". I am a naturopathic doctor, and include homeopathy in my practice. Homeopathy is a system of medicine that uses minute amounts of a substance to trigger the body's own healing response, under the principle of "like cures like". However, homeopathy is just one of the modalities I can use to help you feel better - I may also recommend pharmaceuticals, herbal formulas, nutritional interventions, hydrotherapy, lifestyle changes and supplements in your customized plan. 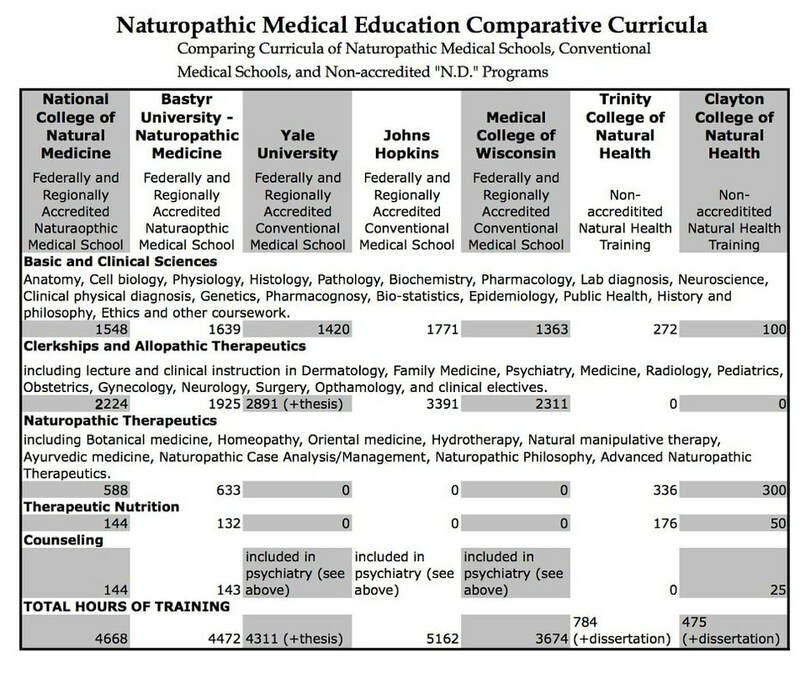 WHAT KIND OF TRAINING DO NATUROPATHS HAVE? NDs are trained to be primary care physicians with an emphasis on holistic health, nutrition and prevention. Our training includes all aspects of diagnosis using blood work, imaging and physical exam as well as pharmacology, minor surgery, IV therapy, chiropractic-type manipulation, nutrition, herbal medicine, homeopathy, hydrotherapy and counseling. Naturopathic medical training differs from conventional medical school in the following ways: (much) more time studying nutrition, physical medicine, botanical medicine, homeopathy, nutritional supplements and less time in pharmacology. Additionally electives can be taken in Chinese medicine, Ayurveda, sports medicine, advanced botanical medicine. Doctor Anne did additional electives in women's health, pediatrics, autism spectrum disorders, and gastroenterology. She has spent her time since graduation studying genomics and complex illness, and did a year-long residency in treating Lyme and tick-borne disease. NDs are considered experts in complementary and alternative medicine as well as drug/nutrient and drug/botanical interactions. Training in anatomy, physiology, biochemistry, histology, laboratory medicine, microbiology, pathology, physical and clinical diagnosis and radiology is virtually the same as conventional medical school. See below for a comparison chart of MD and ND trainings. I am a licensed Naturopathic Physician both in California and in Vermont, where I am considered a primary care doctor. I am also a Certified Nutrition Specialist, and credentialed to provide nutritional counseling. I attended the National College of Natural Medicine, now known as the National University of Natural Medicine.